First off, at this point you are probably wondering what similarities Bitcoins have to oil. I suppose that the main hypothesis of this post is that Bitcoins are nothing more than a plain old commodity, just like oil, and they are subject to the same market forces. In fact, at this moment “Bitcoin miners” are struggling with the same issues that shale oil producers in North Dakota and oil sands extractors in Alberta, Canada are struggling with. Bitcoins are a digital currency. They do not exist in any physical form, and there is no central monetary authority, like the United States Federal Reserve or the European Central Bank, that can issue new Bitcoins. The currency was established in 2009 on a system of computers. The computers maintain a running log of every Bitcoin transaction (basically a big long list of debits and credits) known as the “Blockchain.” The computers interact with each other to clear transactions and verify that their registries on the Blockchain are legitimate. Every time a user successfully verifies a block of transactions (which is a complicated computing algorithm that needs to be “solved”) the transactions are processed and that user receives a pre-determined number of newly minted Bitcoins for her efforts. The designers of Bitcoin programmed the software so that the algorithms that need to be solved to verify the Blockchain and win yourself new Bitcoins get solved about every ten minutes. As more computers are added to the system, the algorithms are programmed to get more difficult. And with more and more user-systems vying for the new Bitcoins, more and more powerful computer systems are needed to be the first system to successfully verify the Blockchain and win the digi-cash. Basically, mining Bitcoins is deliberately designed to get progressively more difficult over time. Cloud computing companies are literally selling use of their systems to Bitcoin miners. Massive amounts of capital are being put into configuring powerful computer systems. And this comes with its own costs and externalities. A lot of electricity is needed to cool super-computing systems, and if the electricity is generated through non-renewable means then there is the additional cost of the pollution that is generated. 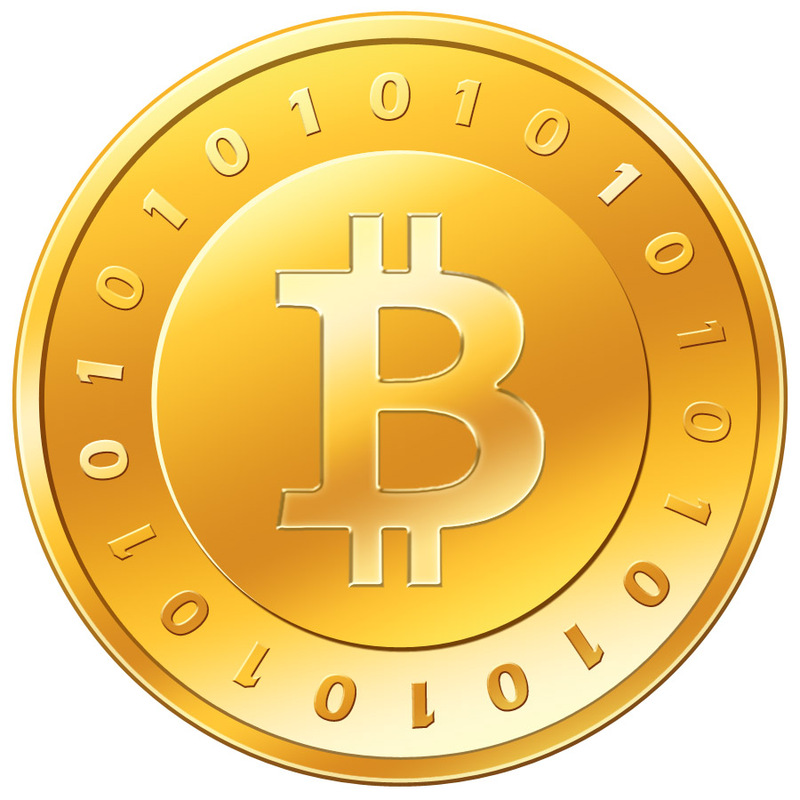 The similarity between Bitcoins and oil, I contend, is not because Bitcoins are “mined” in this digital sense. Rather, it is because we allocate capital to Bitcoin mining in much the same way we allocate capital to oil extraction. Bitcoins have absolutely no intrinsic value. They only have value as expressed in terms of other currencies (such as US Dollars or Euros). So, ostensibly, Bitcoins have exchange rates and have an ever changing value to them. Yes, certain companies do accept Bitcoins in lieu of traditions currencies, but prices are still expressed in the traditional currency and then converted into Bitcoins based on the prevailing exchange rate. 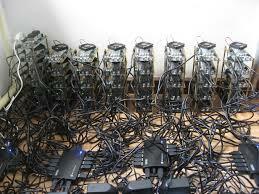 This is what drives Bitcoin miners to devote their computing power to Bitcoin mining. They can then sell their Bitcoins for other currencies and use that money in the traditional sense. Another interesting attribute about Bitcoins is that every four years, since the currency’s establishment in 2009, the number of Bitcoins that can be mined by a new block verification halves. So from 2009 through the end of 2012 the number was 50, now it is 25, and in 2017 it will be 12.5. By 2030 the number of Bitcoins will be limited to around 21 million. To me, this raises an interesting question. If Bitcoin only works because the people mining the coins for a profit are also verifying the Blockchain, once there are no more Bitcoin to mine, won’t everyone spending massive amounts of money on super-computing capabilities just stop bothering, making it impossible to verify transactions and trade Bitcoins, essentially destroying the currency? There needs to be an expectation that the value of a Bitcoin will be perpetually increasing, otherwise the entire system will cease to function. And that is precisely what is happening right now in the United States oil extraction business (well, not a total destruction of value, but the drop in the price of oil is certainly concussing the current system). The number of oil rigs in the United States, as reported by Baker Hughes, peaked in October at 1,609 rigs. It has since fallen to 1,421 rigs. This basically indicates that exploration for new oil, which accounts for an enormous initial investment, is dropping off; however, United States domestic production is still surging. 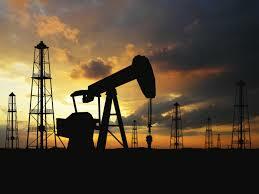 US crude production added 60,000 barrels a day last week, according to the Energy Information Administration (EIA). That puts the United States at 9.19 million barrels a day. However, as the price continues to fall and companies alter their exploration and investment plans, we very well may see domestic production peak. An abundance of oil was discovered in North Dakota that was relatively cheap to extract, given the price of oil. So producers flocked to western North Dakota (a place where even geese wouldn’t flock to) and started to drill baby, drill. Over the same time period, emerging economies, such as China, and developed economies, such as those of Europe and Japan, slowed down. 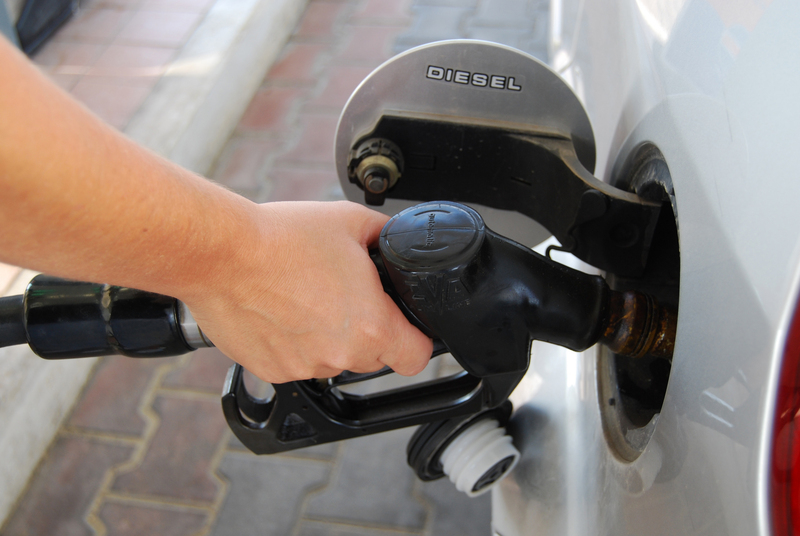 The demand for oil decreased, but the supply was steadily increasing. 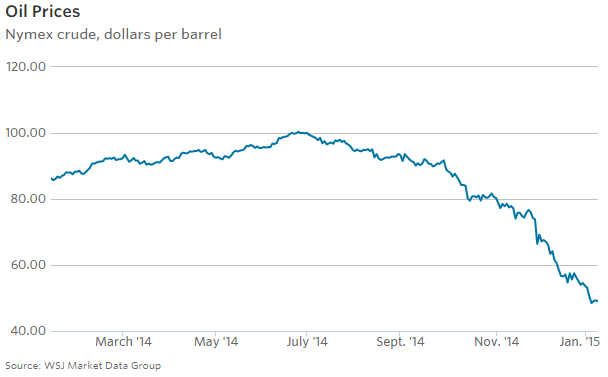 This has precipitated a large drop in the price of oil. Normally, we would expect Saudi Arabia to cuts its own production of the black gold to stabilize the price, but as I previous wrote, I believe they are not doing that this time around for political reasons. But it doesn’t hurt that this “price war” could help drive the Bakken Shalers out of business. Whereas Saudi Arabia only spends between $5 and $6 to get a barrel out of the ground, in North Dakota it costs maybe $42 on average to extract it out of the ground and get a 10% return on capital. The lower oil goes, the more it hurts American and Canadian producers, whereas Saudi Arabia has $900 billion of cash reserves on hand to ride out any prolonged dip in the price of oil. As a result of the flooded market and Saudi Arabia’s decision, the price of oil has dropped below the point at which it is profitable to continue to pump it out of the ground in the Bakken Shale fields of North Dakota. North Dakota, which has undoubtedly had the best performing economy in the country, even throughout the Recession (home prices in North Dakota actually went up through the Recession, whereas in most of the rest of the country they were plummeting), may finally see its wings melt. Texas, Oklahoma, Colorado, Louisiana, Alaska, and parts of Canada, may also see employment losses. The Federal Reserve Bank of Texas has estimated that there may be 140,000 job losses in Texas alone in 2015 as a result of the drop in the price of oil. Policy makers and regulators are also bracing for some troubles ahead for certain banks, housing markets, and even state budgets that rely on oil revenues. However, over all, the drop in the price of oil will be good for the American economy. By saving at the pump Americans will be able to pad their savings accounts as well as go out and buy other things that will spur the economy. The Keystone Pipeline, which has been in the headlines for years now, might wind up being a moot point after all. The Pipeline was intended to bring crude oil from the oil sands of northern Alberta, Canada, to the US Gulf Coast. But oil sands extraction is costly and may drop in the future now that the price of oil is so much lower. If the pipeline ever gets built nothing may ever run through it. As for Bitcoins, the only possible positive outcome of the boom (or is it a bubble?) that I see is that computing power might become exchange traded. First, companies became exchange traded on stock markets. And since then commodities and even more obscure assets like shipping contracts (Baltic Dry index) have become traded on exchanges. I don’t see any reason why computing power couldn’t become exchange traded in the future. Cloud computing companies are already offering their services over the internet to global markets; if there is enough volume in the market all that is needed is for the contracts to be standardized so that they could be traded freely between suppliers, consumers, and even speculators. In the case of Bitcoin, I fear that by creating this digital currency and beginning to accept payments denominated by it, we are simply letting people with immense computing power at their disposal generate wealth for themselves. In addition, they are diverting their computing power from other uses that might be better for society, such as genomic coding, and in the process driving up the price for computer processing for the rest of us.